North, on the Mediterranean coast from Andalucía, a region simmering in passionate music and dance, the home of Flamenco and Moorish architecture, to Murcia, the next region of Spain on my make believe tour. Murcia is squeezed in between Andalucía and Valencia, another province steeped in music. Expectations are high. It is a middling autonomous region – about the middle for size and about the middle for population. There are 1.4 million people living here. 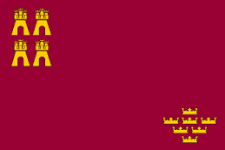 The capital Murcia has just under half a million residents. The region is a destination for festivals and fiestas. Not much really. Remember this is a virtual trip, not a real one. I’m not walking the streets or visiting clubs. I’m searching Wikipedia in Spanish, the web in general and Spotify. I need an “in”, a name to start the search, to follow the links. “Ruth Lorenzo, is a Spanish singer and composer, best known for coming fifth in the fifth series of the British TV talent show The X Factor in 2008”. Can you be known for coming 5th in the 5th series of X—Factor? A beat of optimism when I discover guitarist and composer Santiago de Murcia, but just for that moment because he was from Madrid, and anyway he died in 1739. Week three of my self-invented trip with self-invented rules and I am about to give up here and move on. Valencia calls and even now is more promising. Then, I discover two festivals; La Fiesta de las Cuadrillas (Festival of Cuadrillas) and La Mar de Musicas (The Sea of Songs). I do a lecture – usually to young people, but age is not important. In it I encourage the sensible use of social media. The title is a slight exaggeration, for effect, “We are all journalists, now” (»Vsi smo novinarji«) Having searched for music in Spain, particularly in Murcia, I want to develop a new lecture or essay “We are all music collectors now” because without ordinary people collecting street performances, I don’t think there would be any visual record of Cuadrillas. It is exciting that people have captured these performances on video – all thy need to do now is add that all important data about where, when the music was collected who participated and whatever else can be added for future researchers. Google translates Cuadrilla as “Gang”, but I think “squad” or “team” might be more accurate in this circumstance. I can’t find out much. From these videos, this is ordinary music and dance of the people. There is none of the pomp of Flamenco. It reminds me of a ceilidh in a parish hall, but outside … and Spanish … Here is a story about one; “La Cuadrilla del Campo de San Juan, El Sabinar y Calar de la Santa a través de la Historia” (The Gang of the Field of San Juan, the Sabinar and Calar de la Santa through History). I say we are all music collectors now and need to record more than just the sound or the video, because I am not sure where all of these videos are from. The videos are great but the supporting information (the meta data, if you like) is weak. The first three, I guess, were recorded in a very small inland town, Barranda earlier this year. 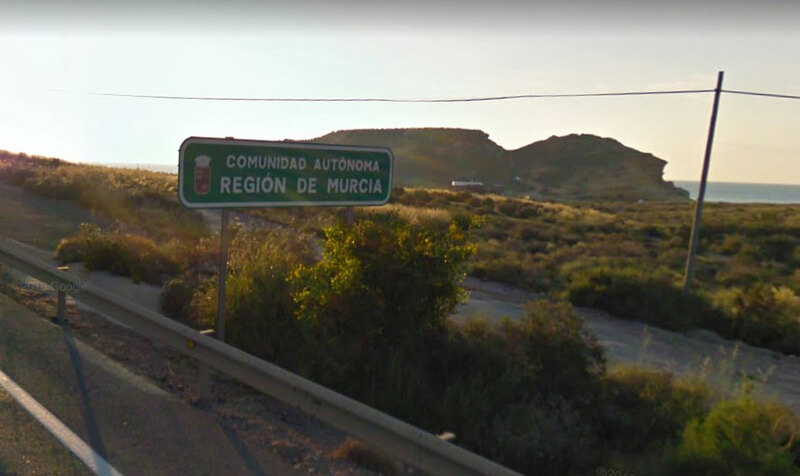 Most of the others are likely to be Murcia. XXII Certamen De Cuadrillas,Beniel 2011. There are many more links to Cuadrilla on YouTube. If you are interested, those videos should get you started. On to the few other pieces I have found for this rather paltry playlist. (YouTube Playlist) The Spotify playlist is almost empty. It is a collaborative playlist. Please add music (relevant i.e.from Murcia) if you know any. If there was an extended family across continents, Malvariche, The Pogues, the Dropkick Murphys and even Horslips might be part of that family. It might even extend to a band from Seville that I have just come across El Gueto con Botas (video here). Would The Ben Gunn Mento Band from Murcia be part of that family? Distant cousins who spent time in Jamaica? Really can’t make up my mind about these boys. Do they fall within my self imposed rules? Do I care? Is it not better to have fun? So, I am adding them to the Murcia playlist. And finally Saray Melo, who might or might not be from Murcia. I’m beyond caring. If you can teach me anything about music from Murcia, I’m all ears! I’m sure it will be better in Valencia.